We figured you might have some questions. It's hard to believe that anything in life is really this easy, but we're here to show you, life really IS good. General Info: How does this work? Enter the ISBN of your book(s) and click "Search ISBNs" or "GO". We'll show you an estimate with both our offer as well as our competitors' offer. Sometimes they'll buy books we aren't or will offer more, and we want you to get the best deal every time. If you'd like to remove any books from your estimate, click on the "Remove book" link. If you'd like to empty your cart and start over, click "Delete All Cart Items". Once you're satisfied with your cart, click "Continue to Checkout". Here you will have the opportunity to select either a check or PayPal as your payment option. Double check your books to make sure they meet our condition and buyback criteria. If you have any doubts, feel free to email us before you ship books. Books rejected for quality reasons will be held for 10 days and either donated or shipped back at the owners' expense. We'll provide you with a packing slip and pre-paid mailing label. Print out the packing slip and mailing label, pack your books with care and include the packing slip inside the box. Next, securely attach the mailing label to the outside of the box. Use lots of tape. If the shipping label comes off, we won't get your books and you won't get paid. Unfortunately, things really do occasionally get lost in the mail. Blue Rocket Books can not be held responsible for packages that are not received at our warehouse and we will only pay for books that are received. You can take the box to your post office, drop at a drop box, or leave for your mail carrier as long as you have the printed label securely attached with all information clearly visible. General Info: Are there any sneaky fees charged for selling my book to Blue Rocket? It's free! There are no hidden fees and we even pay for shipping and provide a tracking number for your convenience. General Info: What kind of books do you buy? We buy all kinds of books in good or better condition. Custom editions. These will generally state they are for specific schools or specific classes. Exam copies. These will generally state Examination, Review, or Free Copy on the cover. Books marked "Not for Resale"
Used access codes that are for single use only. Former library books of any kind. General Info: You only take books in "Good" or better condition. What exactly is good condition? Blue Rocket Books reserves the right in its sole discretion to determine the condition of each book upon receipt in the warehouse, regardless of any price quoted to you, and to take price deductions or reject accordingly. Books rejected for any of the quality reasons listed above will be held for 10 days and either donated or shipped back at the owners' expense. General Info: I don't live in the US. Can I still sell you my books? Please email us at support@bluerocketLtd.com for assistance. General Info: Can I get my books back? Books rejected for quality reasons will be held for 10 days unless we hear from you. We are glad to return the books to you if you desire. Just let us know and we will let you know the cost of return postage. If you do not want the books, we are glad to see them recycled or donated to a non-profit organization. Books rejected for Website Policy violations will not be returned under any circumstances. Counterfeit books will not be returned for any reason. Creating an Estimate: What's an ISBN? The ISBN is like a social security number for your book. It allows us to make sure we're giving you the most accurate estimate we can. The ISBN is a number on the back of the book above the bar code as well as on the copyright page. Some books have both a 13 digit and a 10 digit ISBN and you can use either on our site. We highly recommend double checking the ISBN on the back cover with that on the copyright page. If you're reading the ISBN off of a sticker on the back of the book, that book may have been part of a set and we will only issue payment for the pieces we receive. Creating an Estimate: What happens if I can't find the ISBN, have a rare/collectible book, or have a big load of books I'm trying to sell? Contact us. Books before around 1972 don't usually have ISBNs. Instead they'll have a library of congress number. We generally don't buy books with no ISBNs but will make exceptions. For multiple copies of the same book, we create custom estimates depending on the number and condition. If we receive large quantities of the same book unexpectedly, you may not get paid, so please contact us in advance. Let us know what you've got and we'll handle it from there. Creating an Estimate: What if I send less books than on my estimate? If you create an estimate and send books, even in acceptable condition, that do not meet our minimum order amount you will receive NO payment and your books will not be returned under any circumstances. If you create an order for say 3 books, and only send 2, but those two meet our minimum order amount, there is no issue - just don't try and cheat us please. Our automated quote system is designed to help customers sell their books quickly 24 hours a day. The offers that are made are accurate 99% of the time. However, there may be certain items where the offer amount may be computed incorrectly. If an offer has been made in error, Blue Rocket Books Books will promptly notify you of the error and your item will be returned to you at our expense. Will you buy more than one of each title? We will buy more than once copy of a given ISBN - just look to see how many we will buy in the little drop down box under Quantity. If you have more to sell than listed, contact us for a custom quote. Do not create multiple accounts in an attempt to sell us more than one copy of a book - just email us. We will not pay for unauthorized extra or duplicate copies, and they will not be returned under any circumstances. Creating an Estimate: I've got my estimate! How long is it good for? Books shipped after 7 days of order or received after 14 days are subject to re quotes on the day received. Mail can take 10 days so please be sure to mail promptly to receive the highest quote. Packing and shipping: Do I have to pay for shipping? We provide either a postage paid USPS or UPS label on all orders. These labels are free to you which means you DO NOT pay for basic shipping costs. Tracking numbers are also included free of charge for your convenience. If you ship via UPS $100 of insurance is also included free of charge. If you choose USPS insurance can be purchased at your local Post Office for a nominal fee. Packing and shipping: How should I pack my books to make sure they get to you in good condition? First off, your box is NOT going to be hand carried with white gloves to our warehouse. Imagine the giant shipping sorting facility dishing out its worst on your box. The less your book moves in the box in shipping, the better. Our Packing Hall of Shame is here. If you have multiple orders, you can send them in one box, just make sure each order has its packing slip included in the box. If you think your books are over 50 pounds, you'll need to break your box down into multiple boxes, or contact us for special arrangements. If your box is over the USPS weight limits (70 lbs), they will return it to you and make you pay the shipping to pick it up. When in doubt, you can ask the post office to weigh it or use your bathroom scale before shipping. Packing peanuts and shredded paper are evil, please don't inflict them on your books. They get crushed during shipping, don't do a good job protecting your books, and often wind up damaging the book due to the fine dust they create. Plus we have to sweep after we unpack, and we hate sweeping. Newspaper is a great packing material, but the ink will rub off on your books, so wrap your book in an old grocery sack first. Junk mail, plastic bags, old tests, magazines, and bubble wrap all make great packing materials. Try to make it impossible for your book to slid around in the box. When you've finished packing it, give it a good hard shake. If you can feel the book sliding around in the box, it will likely not get to us in good condition. Don't be stingy with the tape. Boxes break open and the shipping facility machines love to snack on books. Packing and shipping: How important is my packing slip? Very important. We get lots of orders with many of the same books. If there is no packing slip, we can't send payment. If you don't have a printer, hand written notes are fine - we need your order number at a minimum. Packing and shipping: I've mailed my books. How do I find out the status? Quoted: You have created an estimate but the order has not yet been received in our warehouse. Received: The order has been received in our warehouse and is being processed. Paid: All books were received in good condition and the order has been paid in full. Payment: What happens if Blue Rocket Books rejects payment on any of my books? Books rejected for Website Policy violations will not be returned under any circumstances. Counterfeit books will also not be returned for any reason. Payment: What happens if my books make like bunnies in shipment and extra books appear that are not on my packing slip? If we can resell them, we'll add the amount for that book to your payment. If we aren't buying that book, we will either recycle it for you or donate it to a good cause. Payment: How do I get paid and how long does it take? Payments are processed within 3-10 days after your books are received in our warehouse. However, during our busiest periods (August; September; December; January) payments may take longer. We offer 3 choice for payment. Old fashioned check. We mail checks via First Class mail from our NY warehouse. You will be notified by an email when do this. Please allow up to 2 weeks to receive your check. PayPal. This method is quicker since we do not have transit time. PayPal notifies you when the payment is processed. New to PayPal? Click here to sign up. Express Pay. We have partnered up with UPS to get you paid fast. Choose Express Pay as your shipping selection and you will receive a PayPal payment within 24 hours of receipt of your package. For more details, check out the Express Pay details page. We ship orders on the next business day whenever possible. Standard: Ships via USPS Media Mail. 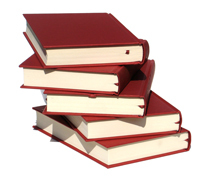 Our customers generally receive their books within two weeks, but can take as long as three. Expedited: Ships via USPS Priority Mail. Will arrive 2-3 business days after shipment. For tracking information, log in and check the My Account tab. You can also find your tracking number in the shipment confirmation email we send. If you still have questions, please contact us at support@bluerocketLtd.com. We accept returns within 30 days of purchase date for the amount of the book less a 15% restocking fee. We are unfortunately not able to refund shipping charges. Click on the Sign Up tab at the top of our homepage and provide your email address and a password. That's it! 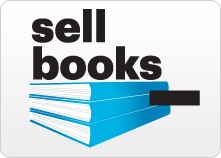 You can use the same account for both buying books from us and selling books to us. Please make sure to provide a valid email address that you check. This is the only way we have to contact you if there is a problem with your order. How do I make changes or add information to my account? Sign in and then click the My Account tab at the top of any page. 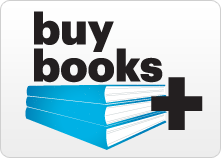 You can edit the payment method for books you are selling to Blue Rocket Books as well as your address and password. Go to the sign in page. Enter your email address and click "Forgot Password?" Blue Rocket Books was founded by students in Austin, Tx. in 2009. We have since outgrown our location and have moved our headquarters to beautiful Upstate NY. We feel strongly that we are part of a global community. We're proud to support Reading is Fundamental (RIF) and the Solar Electric Light Fund (SELF). To find out more about these organizations, visit our About Us page. We've only got one, so we do our best to do right by our planet. We use only recyclable or biodegradable packing materials and we recycle or donate all books that we receive that can't be resold. We try to be as green as possible, right down to our hosting service, www.greengeeks.com. We are here to answer any questions you may have. We try to answer all emails within 1 business day. In the meantime, you can review our help section for the answers to the most commonly asked questions.